This is the folk festival season – so March & April are the busiest months of the year for touring international acts! 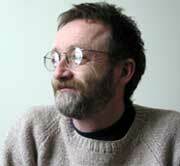 TUES 21: David Francey with Shane Simpson (Canada) 8pm. David Francey's list of achievements in the folk music industry keeps on growing. He is without a doubt, one of Canada's best musical exports and easily lives in the category created by James Keelaghan & Stan Rogers. With David is Shane Simpson from Ottawa who incorporates elements of blues, jazz, flamenco and bluegrass in his guitar-playing; which undeniably add to the character and depth of Francey's writing. 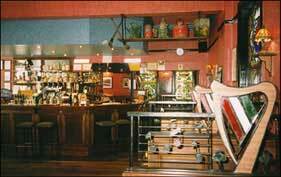 WED 22: Scottish/Irish Ceili featuring Sandy Brechin & Ewan Wilkinson (Scotland) 8pm. Leading Scottish musicians Sandy Brechin(accordion) & Ewan Wilkinson(guitar) with Alison Smith(fiddle) play for a ceili (celtic dance). SAT 25: The Wailin' Jennies (Canada) +Tony Eardley 8pm. The Wailin’ Jennies are an outstanding Winnipeg acoustic roots trio. Note: This concert was originally scheduled for The Eastside Arts Centre, Paddington, but has been transferred to The Harp. SUN 26: Mozaik (Ireland, Bulgaria, Holland, U.S.A.) + Myriad 7pm. THUR 30: Gerry O'Connor (Ireland) & Gilles Le Bigot (Brittany) 8pm. 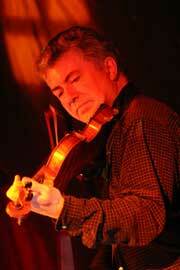 Gerry O'Connor is Ireland's master fiddle player and recipient of the Ireland Award, Best Male Artist for 2006 . Guitarist Gilles le Bigot stands alongside Alan Stivell in the revival of traditional Breton music.